How to post on Instagram from a computer? Plany is a third-party tool that allows you to post and schedule your publications on Instagram from your computer. No push notifications or reminders. You can easily upload photos, videos and stories. You can also add your own captions with emojis, #hashtags and @mentions. Register to start scheduling Instagram posts. You’ll have a free trial of 14 days. At the end of that period, if you want to continue using Plany, you'll have to choose a plan that suits your needs. How do I set up my Plany account? After you have registered, you'll need to verify the email address you used to register on Plany. After reaching the Plany dashboard you will be asked to add your Instragam account. When you did it, you can start using Plany. For you first upload, you will be asked to add your timezone so Plany knows when to post your pictures to Instagram. Go to "Instagram accounts" on the left side bar of your dashboard and select “+Add new” to start adding your Instagram account details. We then verify the connection between your Instagram account and your Plany dashboard to make sure we can properly post the content you give us. How do I remove Instagram accounts on Plany? How do I change the timezone for my Plany account? Go to your settings (left side bar) > choose your timezone > click on the “update” button. It’s often best leaving this as the timezone of the largest portion of your followers, so you can easily schedule your posts to go out at times when they are active. How much does it cost to use Plany? We provide 14-days free trial with 30 photos/videos/stories per days and 2 Instagram accounts. We have 3 plans: Starter at 4,90€, Advanced at 9,90€, Team at 29,90€. In what currency will I pay for Plany? All of the prices on Plany are submitted in Euro €. If you have any other currency, Plany will converts the Euro € price into your local currency according to the current exchang rates. We charge you in your currency, but the receipt you get is always in Euro €. Go to your subscription settings > click on the “Edit my payment method” button and update the information you need. If you have any issues with changing your credit card informations, please contact support@plany.io. Be aware that some plan have a maximum number of Instagram accounts to be chosen. If you have already too many Instagram accounts on Plany, you might need to delete some. Every new user gets the 14-day trial period to try Plany for free. When the trial period is over, Plany will ask you to subscribe to one of our plans. All of your scheduled posts won't be lost if you didn't subscribe, but the posts which were scheduled after the end of the trial period will not be posted. Can I edit posts that I’ve scheduled already? - If you have the timezone of your Plany account set differently to the timezone of your desktop your posts will go out at the time for your Plany timezone, but display times for your device. - You have changed your Instagram password and not updated Plany. If your Instagram password has changed you need to update your Plany account by going to your account setting. - Occasionally, if you’re using Instagram from your phone and Plany from your desktop Instagram will notice that you’re posting from two different IP addresses and send you a verification on your mobile. It might happen during your usage of Plany. It’s not a big deal, it mean that the “session” Plany uses to post for your on Instgram has expired. You’ll be invited to re-connect your Instagram account on Plany. 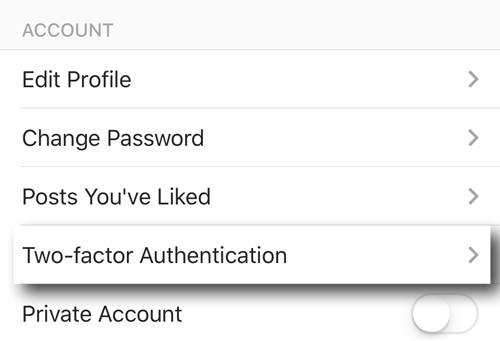 If you have enabled the "Two-factor authentication" you may have trouble to connect your Instagram account with Plany. We suggest you disable it, at least when you add your account. Is my Instagram password safe using Plany? We take security very seriously at Plany. 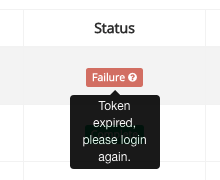 We never see your account password, the service works with encrypted token which making it very secure. When you attempt to add your Instagram account to Plany or posting a picture, Instagram may require you to verify your account. When you attempt to add your Instagram account or upload a picture to Plany you may receive an email asking you to verify your Instagram account from the Instagram app or website. At this time please login to your Instagram account on your phone. Please Note: Plany is a third party app and is not affiliated with Instagram, nor endorsed or certified by Instagram. Copyright © Plany. 2017. All Rights Reserved.